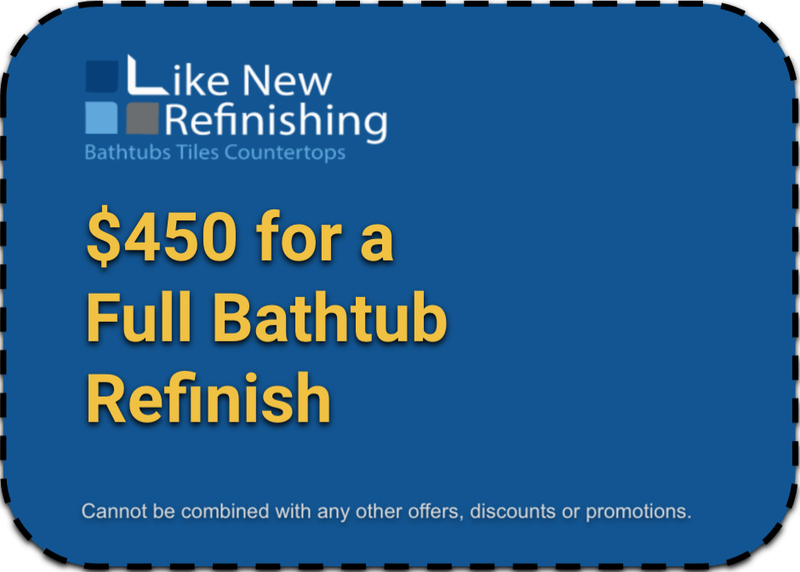 Israel did an amazing job refinishing our tub and surrounding tile... he took a dingy tub and really made it "like new". He was neat, prompt, and very courteous. I am amazed by the difference!! I had called around and he was by far the most reasonable and flexible to meet a tight timeline. We are thrilled with the service and results. Isreal did an amazing job. I called around and did my research. I asked about their process and it was the same process that all other professional refinishing companies use. Yisreal did the work in about 3-4 hours. The tub looks awesome and the material seems very very good. Yisreal is a man of his word and I would highly recommend you use like new refinishing. Israel did an incredible job on our tub! Previous owner of our house had actually just painted over the existing tub and it looked terrible and was peeling. Israel communicated proactively, was very conscientious about keeping his work area clean, and his work definitely exceeded expectations. They were extremely helpful and professional. I would definitely recommend them as I've rarely had an such a smooth interaction. They are very clean and they do a great job, I'm very happy. They provide quality work and are very upfront with information.